#2: The coming announcement that could confirm marijuana is a lasting trend — and send billions rushing into the industry. And all you have to do is copy this “secret weed stock blueprint” and you could retire incredibly wealthy in less than a year. What you're about to see is a little-known stock market investing secret. …while the majority of Pot related stocks still trade for “pennies” a share. See, the “Secret $50 Pot Stock Blueprint” doesn't work with big stocks. And what makes penny stocks different from other “brand-name” stocks is that they’re little-known and cheap. As recently as January, in the Pot industry, there are literally dozens and dozens of cheap, penny stocks. These pot stocks won't stay cheap for long. That means even first time investors can afford to do this. With a big “blue chip” stock, it can take years… even decades for a $50 share to double… and turn into $100. But with a penny stock, a 25-cent share can become a 50-cent share… or even a $2 share overnight. Now compare that to the biggest gainers from much bigger stocks on another day. Tomorrow it will be a different set of stocks altogether. But that’s what makes today’s situation with the Pot markets so exciting! And don’t forget... the announcement could send billions of dollars rushing into the industry. Once again, this could be HUGE for the tiny companies that stand to rake in heaps of cash! Some have doubled and even tripled in price. Dozens and dozens of Pot penny stocks simply exploded like gangbusters after Colorado passed similar legislation. Again, this company was completely off most people’s radar… they were trading for just over 38 cents per share on January 1st, 2014. That’s just with one penny pot play! Can I promise that you’re going to book these whopping gains in as little time? Of course not, no one can promise anything in the investment world. And now that six more states — including historically RED states like Utah, Missouri and Nebraska — are poised to fully embrace marijuana, the publicly traded “penny pot stocks” could skyrocket in price. So how much money can you make by investing just $50 in these penny pot stocks? This is simply an “accelerated” example of how potent these Pot penny stocks really can be. CV Sciences Inc. (CVSI) is a Pot therapeutic company based out of Nevada. Remember, the best profit opportunities (especially in penny Pot stocks) are rarely featured on TV or covered by the financial newspapers. By February 7 — just over a month later — share prices had risen to 6.5 cents. There was NO news of a “buyout” from a larger drug manufacturer. This penny Pot stock shot higher by an incredible 3,150%. And when you have the perfect investment scenario — like with these Pot penny stocks — you’d be hard pressed to find an easier way to get rich quickly. But if you had rolled your profits from Step #1 and Step #2 into a Pot company called CannaBusiness Group Inc. (CBGI), that’s exactly what would have happened. CannaBusiness Group’s primary focus is on zoning issues regarding Pot growing operations. And in early 2014, business was good. In fact, from February 7 to March 14… just over one month's time… share prices soared for a massive gain of 6,833%. That’s why I’ve given you this example, because I want you to see for yourself the amazing potential of Pot penny stocks. The next wave of Pot wealth is taking place right now! That was just one state! *** But by , Even more states could see just how profitable these stocks are — and hop on the bandwagon for legal marijuana. In fact, I predict 2019 is the year of FEDERAL legalization! 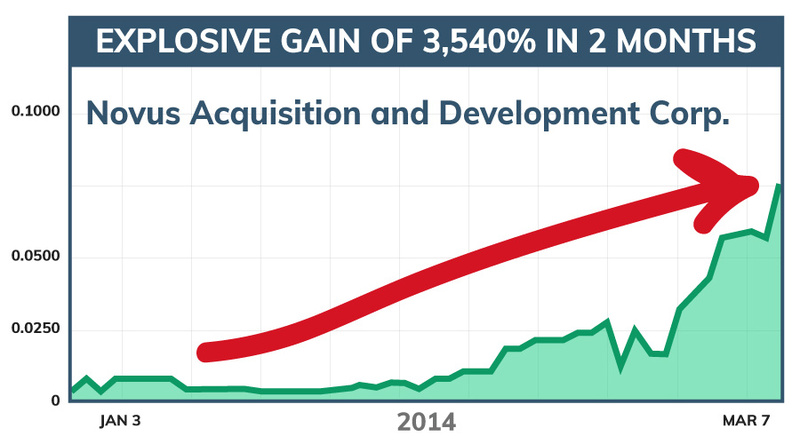 What happens when those gains are multiplied several times over?! Think about what you could do with $2.7 million. And by utilizing the “$50 Weed Stock Blueprint,” you could become incredibly wealthy in less than two years’ time. But remember, you need to take action before … while these stocks still trade so cheap. I’m the chief technology officer for Seven Figure Publishing. We’re one of the largest fully independent market research organizations in the world today. I research the best new scientific ideas you can invest in… looking for incredible market catalysts that have the power to reward early investors with triple- and quadruple-digit gains. Technology Profits Confidential is the only place in the entire world where I recommend tiny stocks that my research indicates could soar 500–1,000% or higher. And I can tell you — with 100% conviction — that the opportunity for early investors in the legalized Pot markets is truly unprecedented. We’re talking about an entire industry dominated by small companies. …dozens and dozens of TRUE penny pot stocks. You’re costing yourself tens of thousands… even millions of dollars! Penny stocks are infinitely important to the global economic engine. The world needs these small companies. See, small companies are the foremost breeding ground for innovation. Heck, some of the biggest companies on Earth originated as tiny penny stocks. And now they now add hundreds of billions of dollars to our economy. They provide jobs to over a million people. And believe me, tomorrow’s leaders in the weed industry are companies that you can purchase today for just pocket change. I’ve been waiting for the exact right time to get in. And I’ve already identified a number of penny pot stocks that have the capabilities of producing life-changing gains in the months ahead. My appraisal system is modeled after the world-class auction house Sotheby’s. Companies are treated exactly like they're precious artifacts up for auction. It’s the only means to truly keep your portfolio safe. Every product launch is tracked for widespread consumer appeal. Every dollar of revenue is cross-referenced for authenticity. I treat every company no differently than, say… Leonardo da Vinci's Codex Hammer, which Bill Gates recently bought for $30.8 million. Or a 300-year-old Stradivarius violin, which sold for $3.9 million. Can you imagine sending these priceless assets to auction without verifying their authenticity? So why should your investments be treated differently? Only a few dozen companies have met all five criteria points. Which speaks to the rigors of my appraisal process. Here, I don’t mind sharing my five-point appraisal checklist with you. It’s not enough for companies to solely rely on superior products that compete in existing markets. They must offer a unique form of innovation… with a true visionary at the helm (like Steve Jobs or Lee Iacocca). Companies concerned with conventional wisdom or the standard ways of conducting business need not apply. And if they’re worried about competition? They need not apply, either. Only genuine innovators will pass and ultimately trigger a recommendation on my end. Such companies reject the status quo — almost defiantly — in every instance. This helps them passionately forge new ideas, innovations and business parameters in which to flourish. The companies I recommend exclusively to Technology Profits Confidential readers almost always demonstrate an innate ability to deliver a better product than their competitors… and sell that product for much less money. This is exactly how companies like Wal-Mart, Amazon, Uber and Intel dominated their respective industries. Would you like a bag of the finest Pot… for half the price? Would you like a brand-new smartphone… for half the price? If a company can’t offer a top-quality product, at the lowest price possible, I can’t make a buy recommendation in good faith. Most companies fail miserably here. The amount of money a company was able to attract from private investors, pre-IPO, is infinitely important. The more money, the better. Tons of financial backing from private investors is a surefire signal that the company is doing something extraordinary. Think about it. Would venture capitalists put their faith (and capital) behind a mediocre idea? Never. A coming event or announcement can send a tiny stock through the roof. Especially ones trading for pennies a share. Imagine owning a tiny pharmaceutical ahead of FDA drug approval. Or a little software company before a major takeover. Overnight gains on such news can far exceed a simple price double. That’s when a certain company releases its earnings data… potentially proving that marijuana is here to stay, and an investor’s dream. Remember this — to make the most money possible, it’s crucial to invest NOW… before the first of these tiny little penny stocks begin announcing first-quarter earnings. Already, in just the past few months, more than two dozen Pot penny stocks have seen their share prices surge by up to 20%, 50% even 100%. Every stock I’ve just mentioned still trades for POCKET CHANGE. And you’d probably do better than the overall market. But when it comes to growing rich in the markets, specific stock selection is KEY! That can eventually make you a millionaire. Then down to just four plays that are the very, very best ones that could make you money. 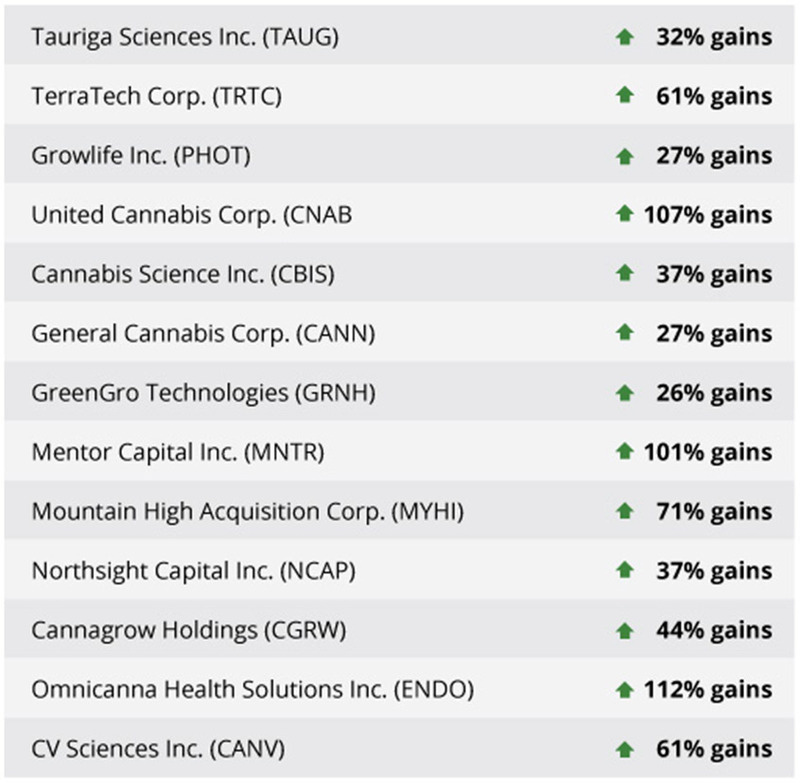 And I’ve created a list of the top Pot stocks you need to own right now. To my knowledge, there’s no list of companies like this anywhere in the world. You can’t buy a copy of this list, even if you tried to. I’ve made the entire list available for immediate download, absolutely free of charge. I’ve detailed each stock recommendation in a special report I’m calling Four Incredible Pot Stocks… for a Six-Figure Payday. Now, I’m sure you’ve heard of pain drugs like OxyContin, Hydrocodone and Percocet. Chances are good you’ve even been prescribed these drugs by your doctor following a major (and even minor) surgery. In 2012 alone, 259 million prescriptions for painkillers were filled. That is more than enough for every adult in the United States to take them for at least a month. And those numbers have built incredible wealth for the companies manufacturing these drugs. The Sackler family, which owned and controlled Purdue Pharma, became one of the richest families in America after introducing OxyContin in 1996. Net sales of OxyContin alone average around $3.1 billion per year. And Endo Pharmaceuticals — the company that makes the painkiller Percocet — generate profits of about $122 million per year. In other words, these types of drugs can be VERY profitable. Of course, today’s painkillers are derived from drugs like opium… and morphine. Which make them very dangerous, too. According to the Centers for Disease Control, the United States is in the midst of an opioid overdose epidemic. The truth is opioids killed more than 28,000 people in 2014, more than any year on record. You see, serious pain drugs are a horrible trade-off — a deal with the devil, if you will. You take the drug and your unbearable pain goes away… but you may end up addicted (just ask Rush Limbaugh or Brett Favre), homeless or even dead from an overdose. 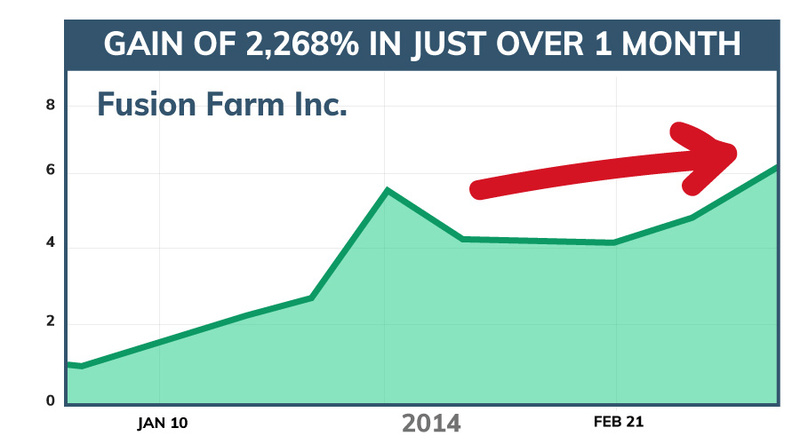 And that’s exactly why this tiny, publicly traded Pot biotech firm is so exciting. You see, they’ve already developed the “next generation” painkiller medication. I’m talking about a medication that could be just as effective as opioid-based pain drugs… but without all of the nasty side effects. A pain medication that you aren’t likely to become addicted to… and a pain medication that is much, much safer. Not only that… but this next-generation painkiller has already cleared Phase 1 and Phase 2 testing with the FDA. And as you can imagine, in the case of prescription medicines, it’s the first company to market that will hit the largest jackpot. As I’ve shown you, this is a market that’s worth billions and billions of dollars… and this microcap company could easily dominate the entire market. Because this same company has three other drugs in the pipeline… which are being tested as we speak. You see, what this company has discovered — through new research — is something called the endogenous system… which is directly linked to a number of physiological processes including pain and inflammation. And a special chemical found in Pot can regulate the effects of acute and chronic pain. I fully expect shares of this penny pot company to start to skyrocket by 500% or more following the as Pot moves into the mainstream. And I’ll tell you everything you need to know in my comprehensive report. But there’s more… much, much more. They’ve quickly become a premier supplier of packaging, accessories and branding solutions for the legal cannabis industry. Share prices have climbed as high as 212%... but this is just the beginning. This company is still in the infancy stage of growth. I wouldn’t be shocked to see share prices skyrocket by 500% or more beginning as soon as . Because of the small size of this company… and the unique angle they’ve taken with medical Pot, I can’t go into much detail right now. However, I can tell you that they were just awarded a medical Pot sublicense to a patent from the U.S. government… and they have 20 more Pot patents currently under review. This small firm — that currently trades for around $1 per share — could easily become a global leader in Pot biotech. Some of the largest investment groups on Wall Street are buying huge swaths of shares. 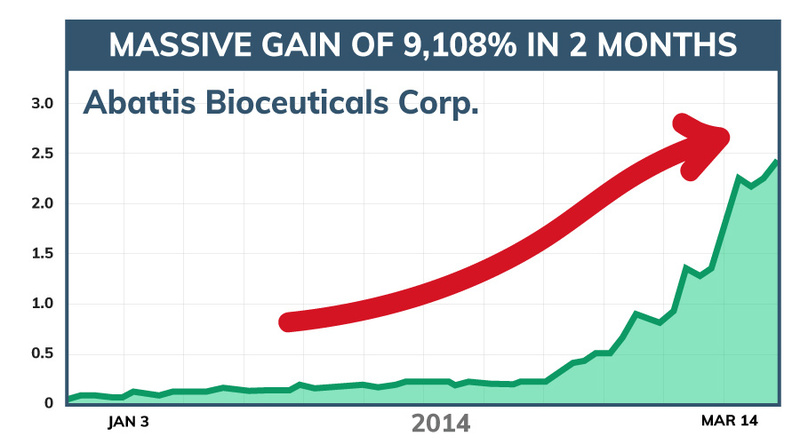 Because of their unique medical Pot patent, shares of this tiny biotech firm could jump 1,022% in as little as three months. You see, as any Pot aficionado will tell you, growing Pot indoors offers a number of key benefits. It allows you to closely regulate light, temperature and humidity. It also offers an element of privacy and protection. As Pot becomes legalized across the country, the market for indoor growing accessories will explode… and this penny pot company is the industry leader. This company is the smallest of the four penny pot stocks I’m profiling in my newest report. In fact, they’re one of the smallest stocks I’ve ever recommended, PERIOD! This is truly a ground-floor opportunity… the kind that can turn pocket change into an incredible fortune. 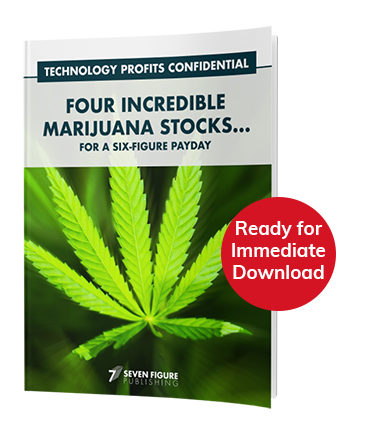 Everything you need to potentially make a fortune in the budding Pot industry is included in your free report, Four Incredible Pot Stocks… for a Six-Figure Payday. 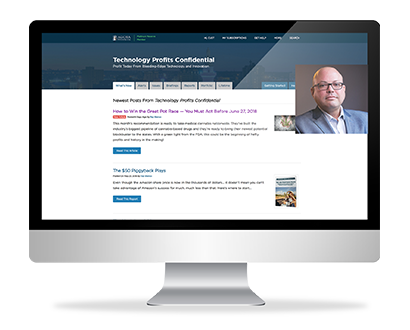 Just sign up for a risk-free subscription to Technology Profits Confidential, and you’ll have instant access… for FREE. All you have to do is catch the wave of wealth before it begins. Not only that, but I’ve prepared a special “welcome package” that could help you make enough money in penny stocks to shave 20 years off your retirement date. And it’s also going to prove super lucrative if you know the right move to make. Famous scientist, engineer and inventor Nikola Tesla pioneered the idea of “invisible power,” but it wasn’t technologically possible during his lifetime. Now, however, it’s poised to change everything about how we use, transmit and think about power. The fastest movers on “invisible power” will get seriously rich, and my report shows you all the details and gives you complete instructions for what to do if you want to jump in. 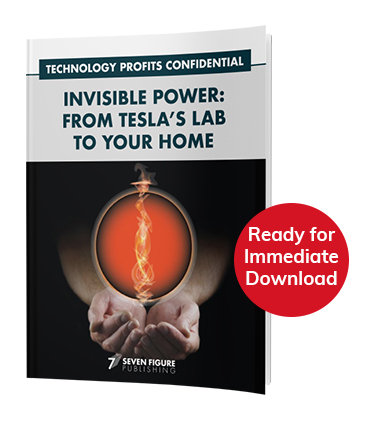 That’s why I’d also like you to have (for free, of course) my report called Invisible Power: From Tesla’s Lab to Your Home. If you want to get rich from budding technology, you must simply have your copy of Invisible Power: From Tesla’s Lab to Your Home. It goes without saying, you’ve never experienced anything quite like it. In a digital world as real as day, you’re surrounded by a Cretaceous forest — face to face with a Tyrannosaurus rex — and an instant later, standing on an Everest peak. Time magazine, the Financial Times, Fortune… they’ve all written and raved about the possibilities once we can interact inside of virtual worlds. Samsung and Facebook have already invested billions. Google’s already made a big move into this technology. Even NASA’s lining up to gain an advantage. What’s got me and my readers excited, though, is the 81,000% growth we could see in the market for virtual reality products and technology. This could be a $30 billion-a-year business years from today. And we don’t intend to miss it. The company that’s responsible for building the powerful visual “guts” of the now-famous and highly sought-after Oculus virtual reality device from Facebook. A second company with cutting-edge motion sensor technology, designed to make every virtual world experience as smooth and lifelike as reality. Either one of these could deliver staggering tech wealth to early investors. Together they could literally change your financial prospects for life. 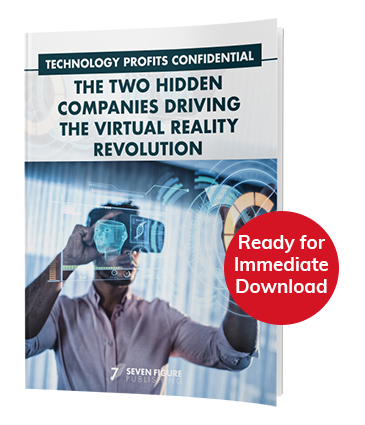 You can read all about them in this next gift report I want to send, called The Two Hidden Companies Driving the Virtual Reality Revolution. for Just 14 Cents a Day! Subscribe to Technology Profits Confidential for one year for only $49. That's only 14 cents a day. But if Technology Profits Confidential is so good, why am I practically giving it away? That’s why Technology Profits Confidential is so cheap. When you subscribe to Technology Profits Confidential today, you do so completely risk-free for a full 180 days. Try Technology Profits Confidential risk-free for six (6) full months. 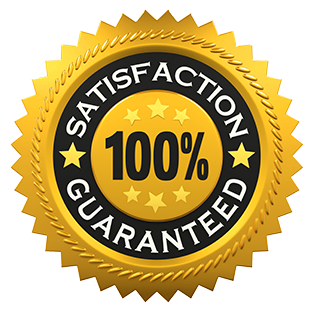 If you find the research isn’t everything I’ve said and more, you’ll receive a prompt, hassle-free 100% refund. All you need to do is ask. Simply because today, you made the decision to give Technology Profits Confidential a try. 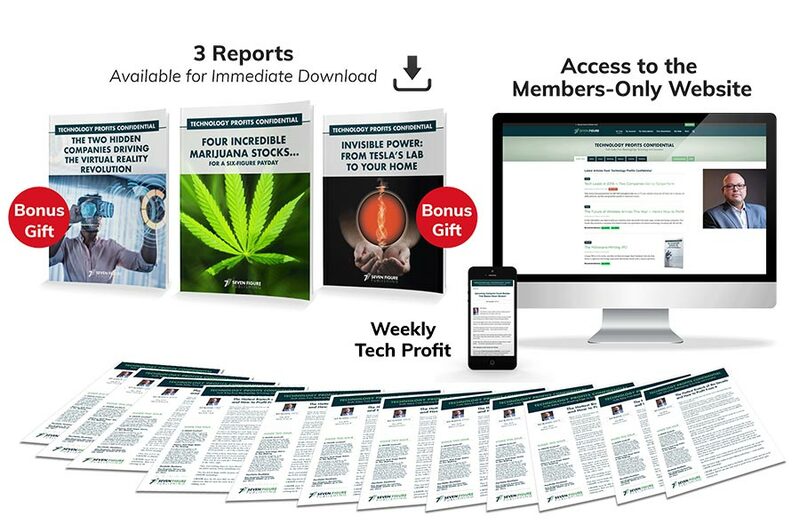 With the unmatched profitability of penny stocks and the “Secret $50 Pot Blueprint,” you could have turned a small bill into a $2.7 million fortune. Are you ready and willing to harness the wealth generating power of the “Secret $50 Pot Blueprint”? Then I urge you to subscribe to Technology Profits Confidential today. You do so risk-free for 6 full months. Also, when you subscribe to Technology Profits Confidential today, you’ll get instant access to all four FREE bonuses, yours to keep no matter what.